Although traditionally served for breakfast, these shrimp and grits will satisfy any meal of the day. Peel your shrimp then season with salt and pepper and set aside. Following, boil four and half cups of water, whisk in a cup of grits and a teaspoon of salt, and gently simmer uncovered for thirty minutes. While that’s cooking prep a cup of grated sharp cheddar, a quarter cup of parmesan, three tablespoons of butter, and half a teaspoon of freshly grated black pepper. Sauté the shrimp in a hot pan until cooked through, for more flavor you could add some bacon, garlic, and or scallions. 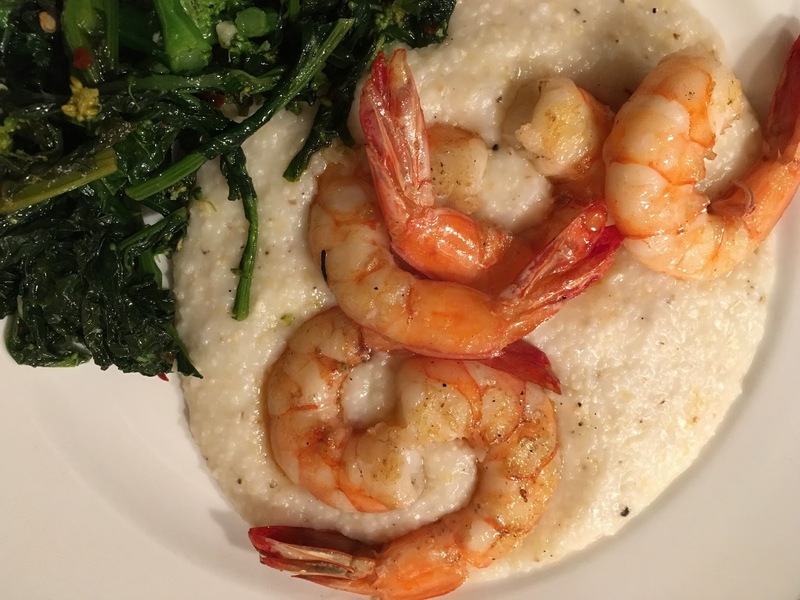 When your grits are ready remove from the heat, stir in the cheese, butter, and pepper along with a few shakes of tabasco sauce, and serve with the shrimp over the top.